What’s just as important as finding off-price designer furniture that you absolutely love at The Dump? Making sure that those pieces fit in your home! 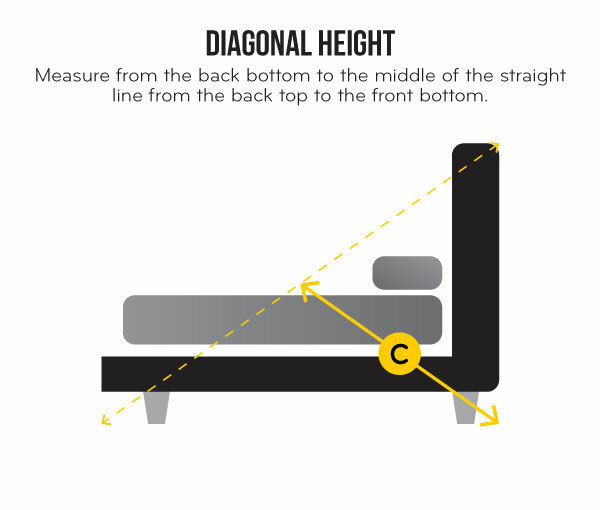 Use the helpful tips in this guide to ensure easy delivery, and that your new furniture is the right size for your room. 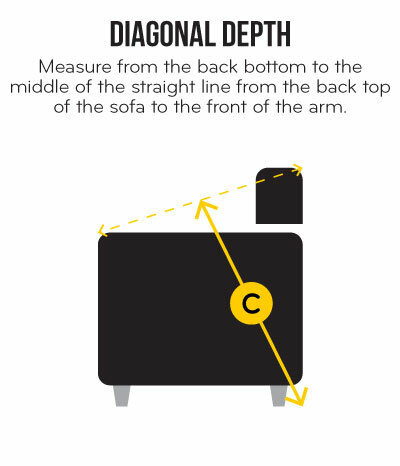 Get accurate measurements of the space you’d like to put new furniture in. 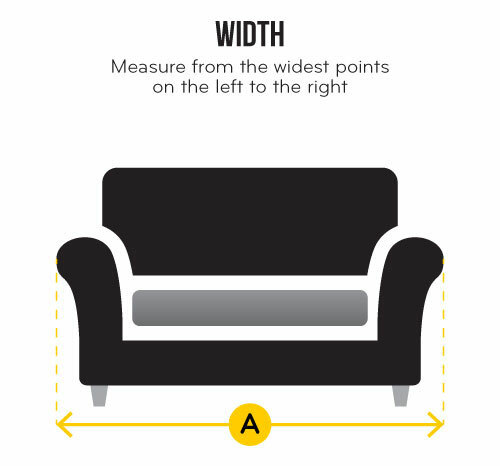 Always measure if you have a sectional or other oversized piece in mind. 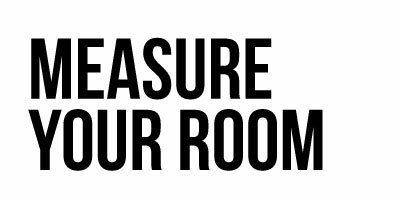 If the room isn’t a perfect square or rectangle, be sure to take into account any recessed or protruding walls, and measure accordingly. It’s important to consider more than just the space where your new furniture will be placed. Will it fit through the pathway to that room? 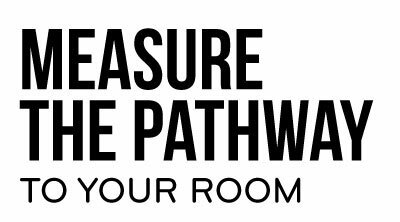 Be sure to measure your doorways, entryway clearance, hallways, stairways (especially those with turns and landings), and any ceiling fans or low-hanging light fixtures. 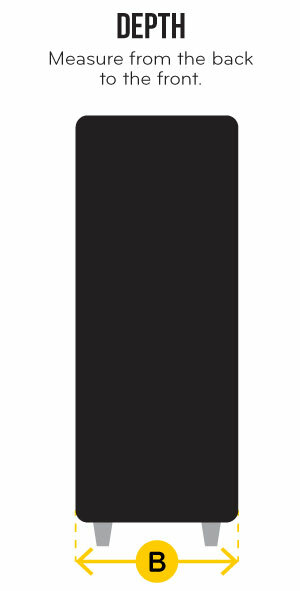 If you live in a building with an elevator, take measurements of the elevator door opening width and height, as well as the inside of the elevator and any hallways leading to or from it. A DUMP SALES ASSOCIATE WILL BE GLAD TO HELP. 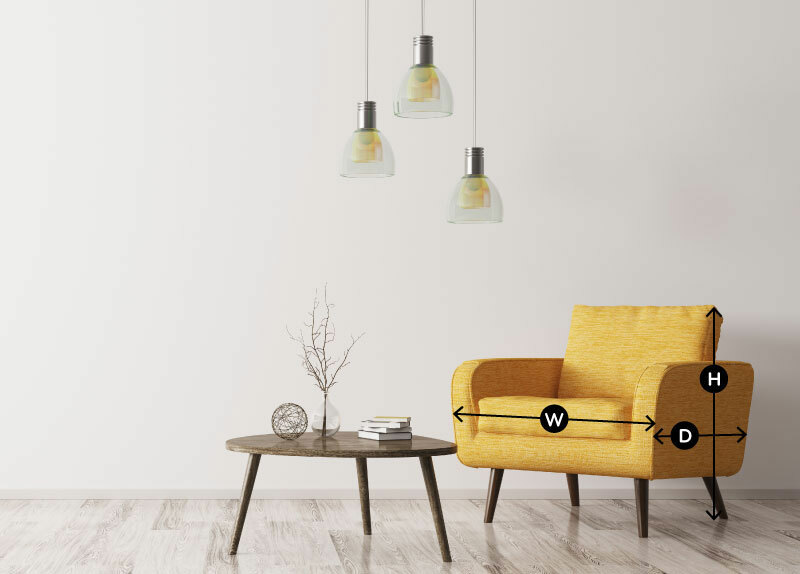 To make sure your new furniture is the right size for you room, mark off its dimensions on your floor using masking tape, painter’s tape or a cardboard template. 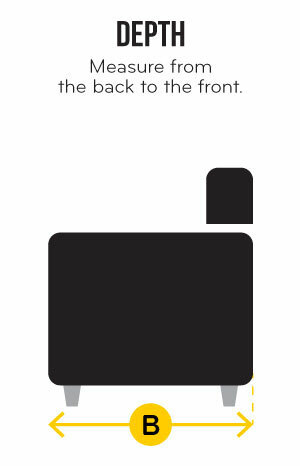 This will help you envision how the item will fit in that space. 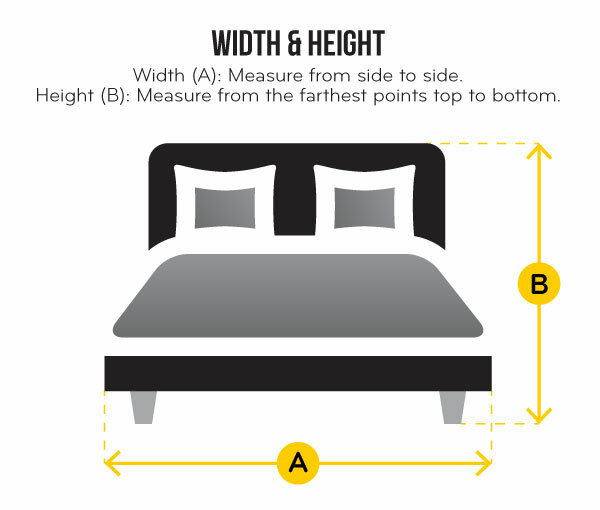 The width (A) should fit within the space intended in the room. 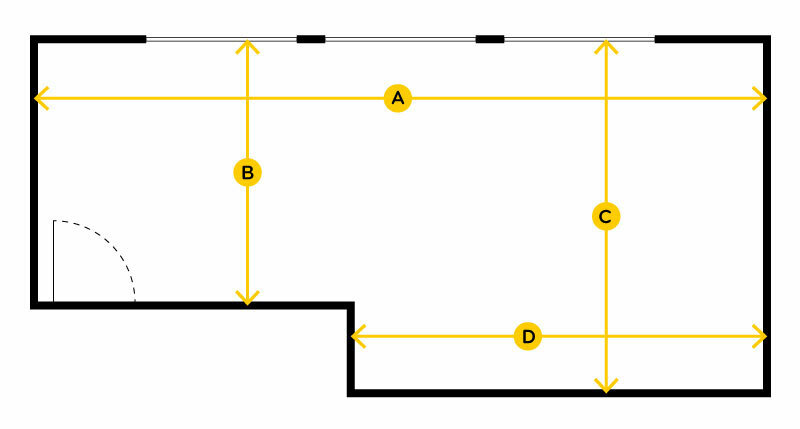 The depth (B) and diagonal depth (C) should be less than your doorway clearance. 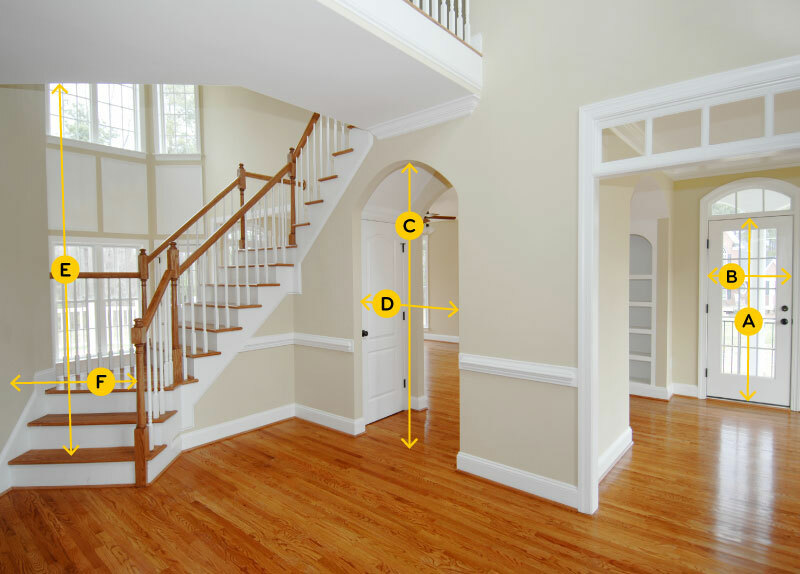 Diagonal height (A) and depth (B) should not exceed your entryway clearance. 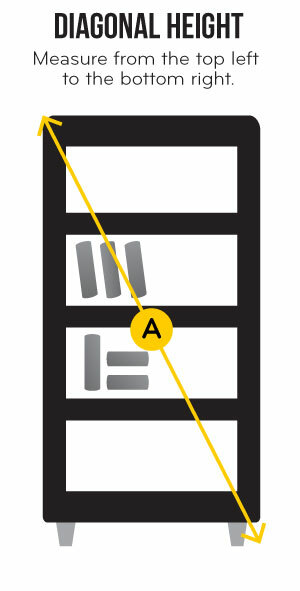 Width (A) should fit within the intended room and height (B) should not exceed your doorway clearance. Please make sure that the furniture you order will fit inside your home. 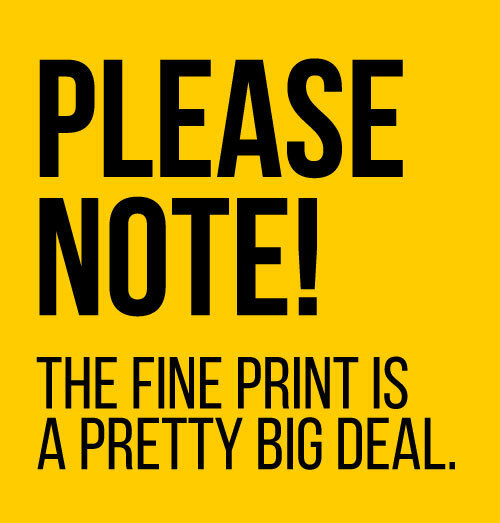 If your furniture doesn’t fit in the desired location, you will be subject to a restocking fee. Remember: Items need to fit in the normal pathways of your home. The Dump’s delivery providers cannot hoist items to an upper floor, nor can they make a delivery above the third floor without an elevator. Prior to delivery, please make sure that your room is empty, and the space is available to receive your new furniture. The Dump delivery providers do not dismantle furniture, and they are not permitted to move or handle your other furnishings. Don’t forget! Be sure to inspect and report any damage to your furniture before store pick up, or before the delivery driver leaves your home by contacting a Dump representative at 1-800-768-0348.